I've taken a bit of a hiatus while I adjust to my new position and adjusting to having both kids in school. But I haven't taken a hiatus from delicious, healthy foods! I was quite fortunate to be able to sample a new bar - called the AMRAP BAR. 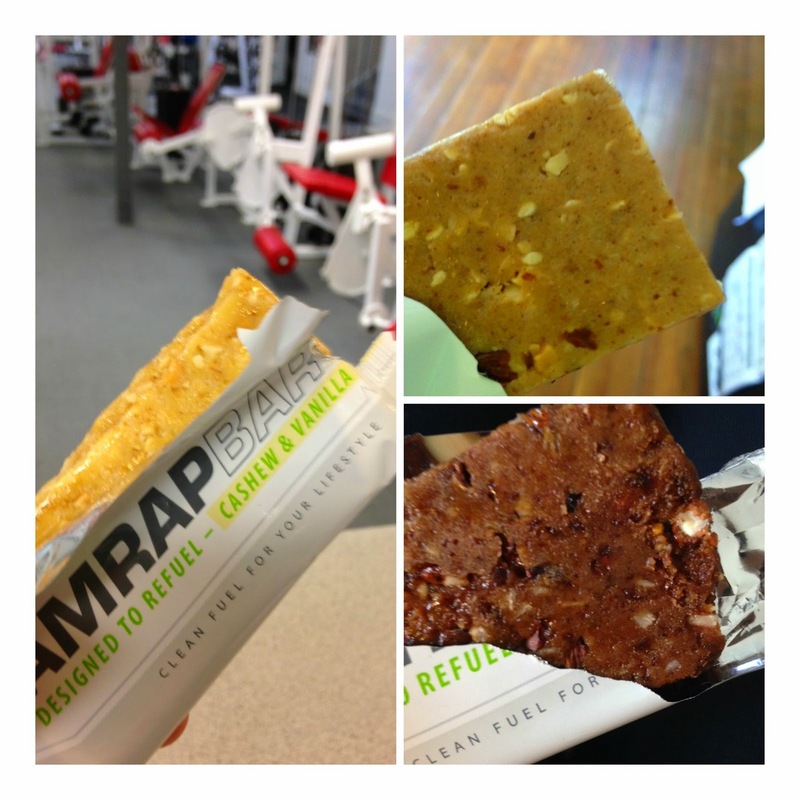 The AMRAP Bar is a 100% paleo, non-GMO, gluten-free, dairy-free, preservative free and artificial free. It also packs a powerful punch with it's high protein content as well and is full of flavor! It came in Cashew and Vanilla, Almond and Honey, and Fig and Cacao. The flavors were amazing! I loved that it was packed with flavor and is clean fuel for your body - developed by athletes, moms, experts, and health nuts. Each bar had 12 to 15 grams of protein and fell in the 270-320 calorie range. To top it off...the ingredients are real. You just have to love a company that develops a product with ingredients you can actually read! For example, in the Fig and Cacao Bar - the ingredient list is: egg white protein, figs, almond butter, almonds, unsweetened coconut, cacao nibs, and coconut oil. AMRAP definitely gets a high five from me for creating a fabulous tasting product that's full of real food. AMRAP is hosting their own Pre-Order $300k Giveaway to celebrate the launch of AMRAP Bars! Beginning 11 MST today, there will be a limited chance for customers to pre-order a 12-count variety pack of the new AMRAP BARS for $45. You can place your order at www.amrapnutrition.com. Please check out the link for more details. This exciting news! And lucky you! I have a giveaway you can enter so you can fall in love with AMRAP too! * Correction!!!! There will be THREE LUCKY WINNERS!!! Each winner gets to choose 8 bars of their favorite flavor! Enter below via the rafflecopter. The giveaway will end 9/11/14. I will email the winner. Disclosure. 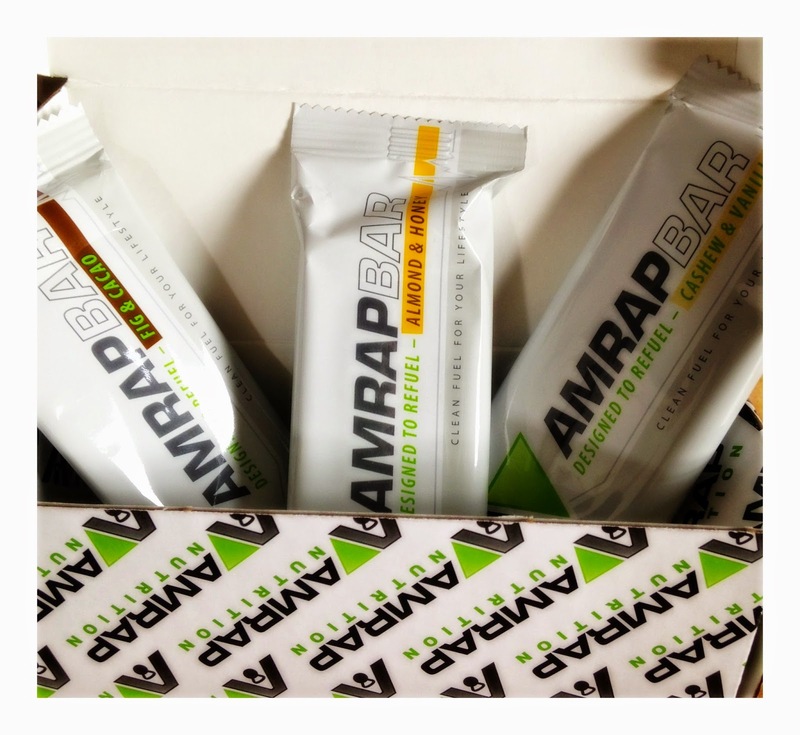 I was provided a sampler pack from AMRAP through my affiliations with FitApproach to review on my blog. I was not required to post a positive review. As always, all opinions expressed on my blog are 100% my own. I haven't had them before but would like to try them! I'd like to try Fig and Cacoa! I just went paleo and those sounds great! I'd love to try almond honey. a REAL paleo bar. Awesome! I love figs so would try the fig and cocoa first. Great news! I'm glad it has simple ingredients and the Vanilla & Cashew sounds delicious! I like to see more bars with natural simple ingrediats. almond and honey sounds yummy! I love that it is whole foods! And i love the vanilla cashew combo! I love the list if ingredients - shirt and sweet and I can pronounce them all! I really like how healthy and nutritious these bars are, and I think I would really enjoy the Cashew Vanilla. I really like that the bars are made from ingredients that you can actually pronounce. I would be grateful for any of the flavors. Thank you.